This postmodern era struggles a lot to make your life go all boring and dim without any serious depression, any cause for revolt and any true ideology to fall demotivational. That’s the reason for all the deep-seated anguishes and dissatisfactions of the common man. Though a very few people can actually afford to break bad, the others are still free to wear a mask of a ‘bad boy’ and in that case, nothing can outdo posters for real! 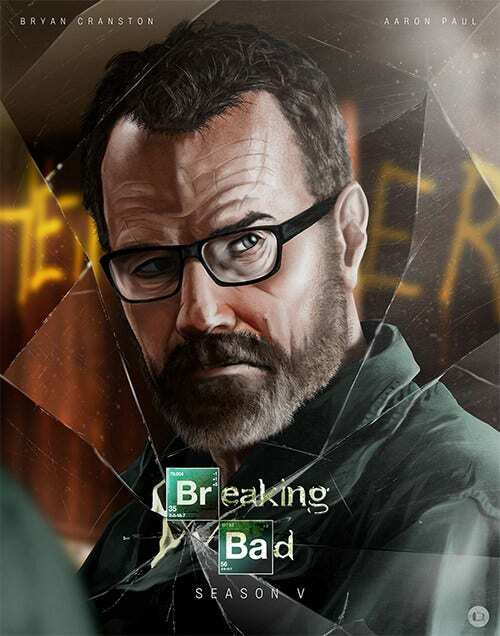 Breaking Bad posters went viral after the release of the series and since then, they have been available all over the internet, most of them being premium ones. 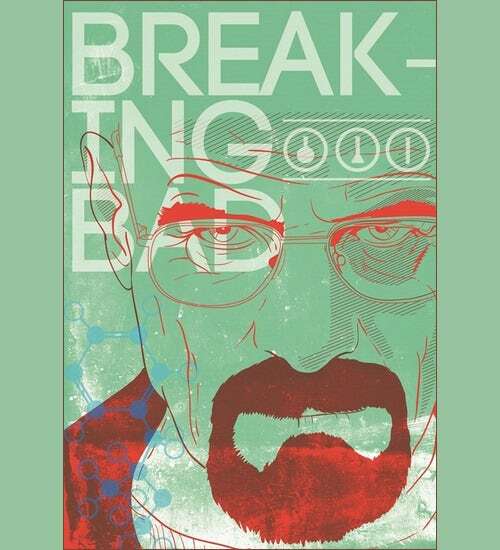 Breaking Bad poster for every episode was available at one point of time and many walls got studded with these trending anti-establishment concepts which probably have threatened lots of parents and girlfriends too. But girls do like their guys being unconventional. 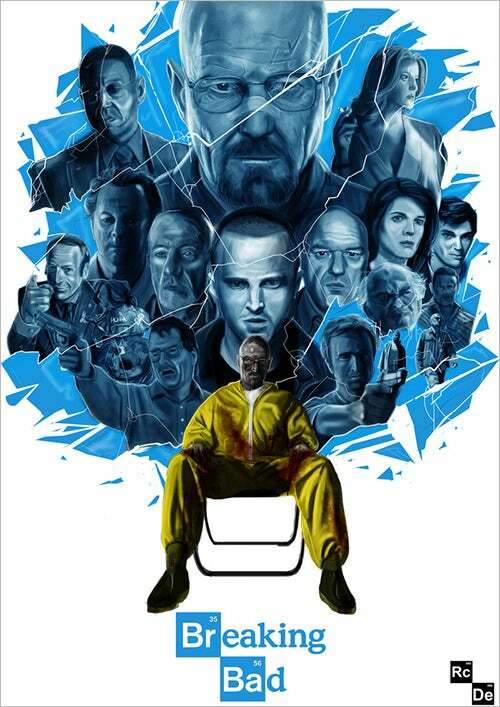 In this skillfully crafted Breaking Bad Poster Creator showcases Walter White, the chemistry teacher in red sketch. 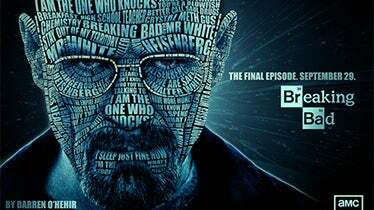 The backdrop is pale green with ‘Breaking Bad’ written in white block letters. Three small pieces of laboratory apparatus does justice to this poster. 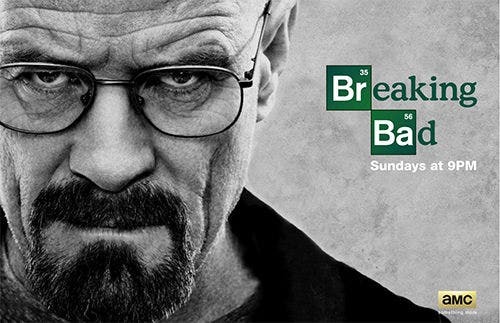 This stylish Breaking Bad poster generator delivers sharp clean images of important characters from Breaking Bad movie with appropriate sharpness and precision. You can change the shades or select from a range of frames to make the poster even more vivid. 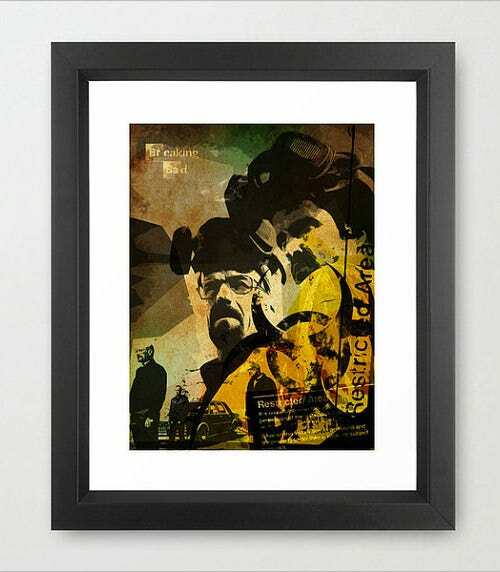 This is a remarkable handmade poster inspired from the Breaking Bad movie made from premium quality materials, sturdy package, thick and high quality paper prints. The thick, bold and black frame makes the image very distinctive and remarkable. 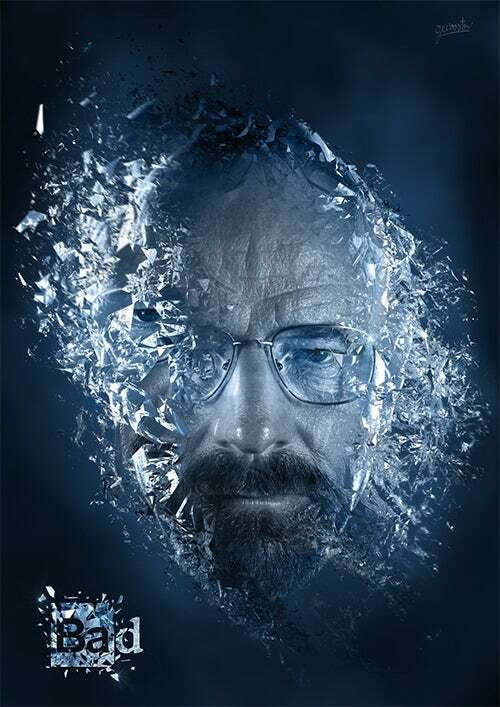 If you are looking for a different poster of Walter White then you may take a look at this Breaking Bad Poster 24×36. Small sky-blue coloured bits and pieces are put together in such a way that it resembles the countenance and all is set on a jet black background. 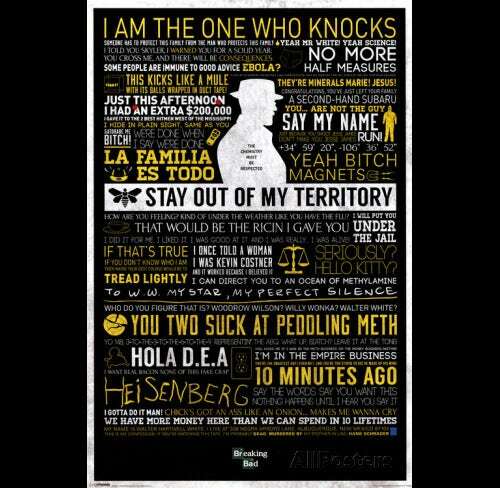 If you are Breaking Bad fan then this poster is sure to make you go bonkers. 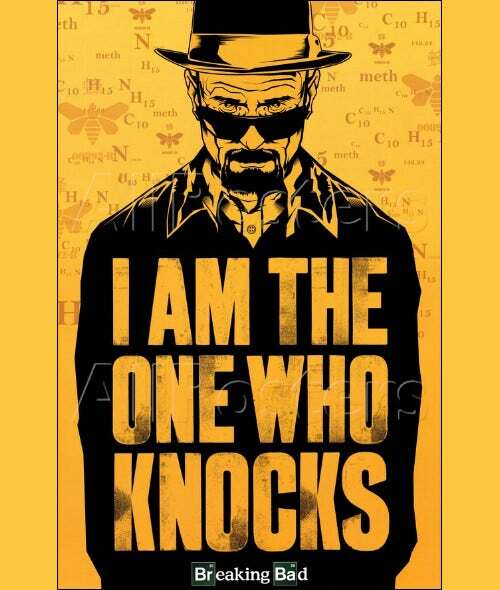 This Breaking Bad poster generator is made from sustainable resource and the yellow and black colour combination with a black frame does the ultimate magic here. 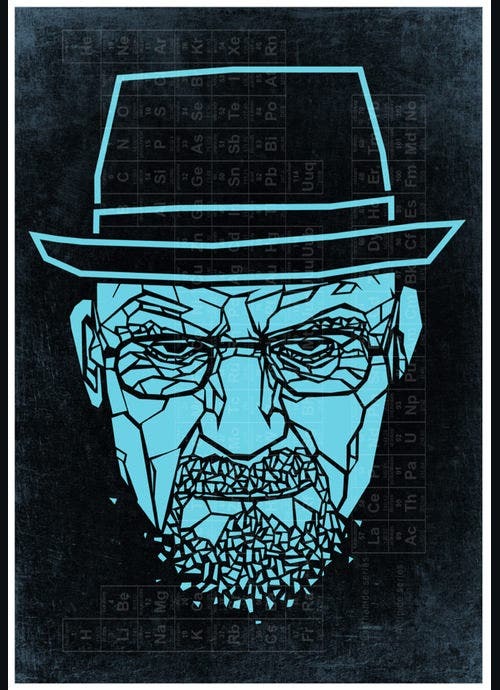 This Breaking Bad poster 24×36 endorses Season 5 of the show. A round bottomed flask in pale blue with facial formations of Walter White and Jesse Pinkman is set before a navy blue backdrop. A few chemical bonds at the back make the image even more interesting. 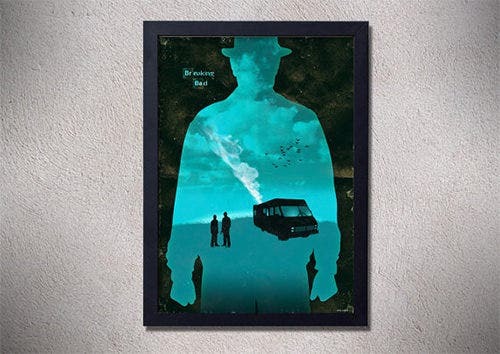 This Breaking Bad poster generator is a handmade item available in A2 size. 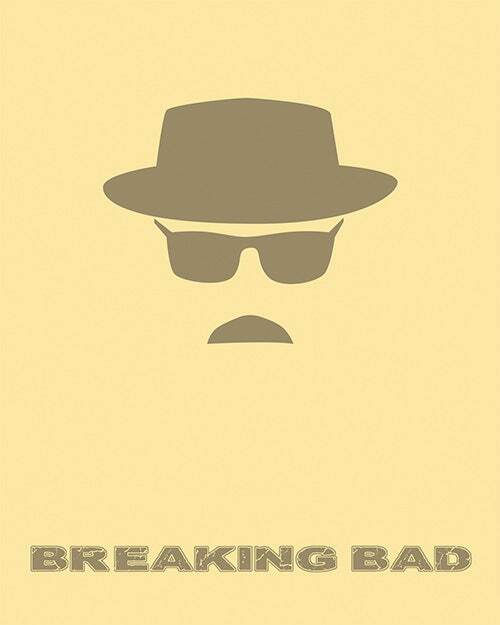 It has an aqua blue silhouette of Walter White on a jet black backdrop. You can change the colour and frame of this poster in Adobe Illustrator and Photoshop as well. 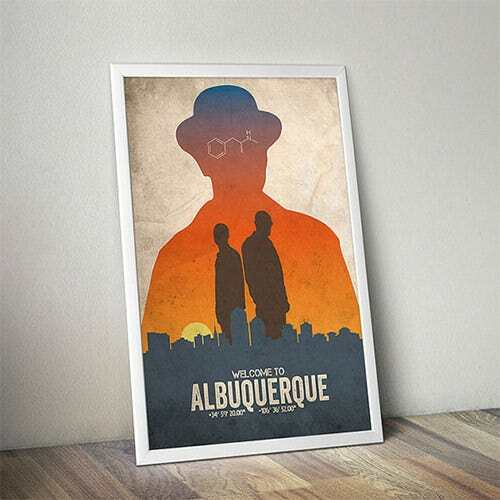 This Breaking Bad poster creator is of a measurement 8×12 square inches. 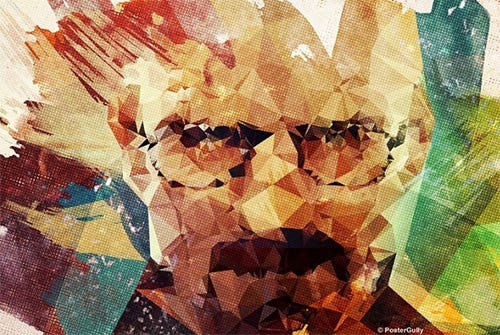 Here Walter White appears in a prismatic texture. You get all the colours in this 250 gsm high quality matte poster and the packaging is done with utmost care to retain its newness. This breaking Bad poster generator is a typographic design of various significant dialogues and quotes from the Breaking Bad series. All the typography is done with yellow and white and set on a black backdrop. 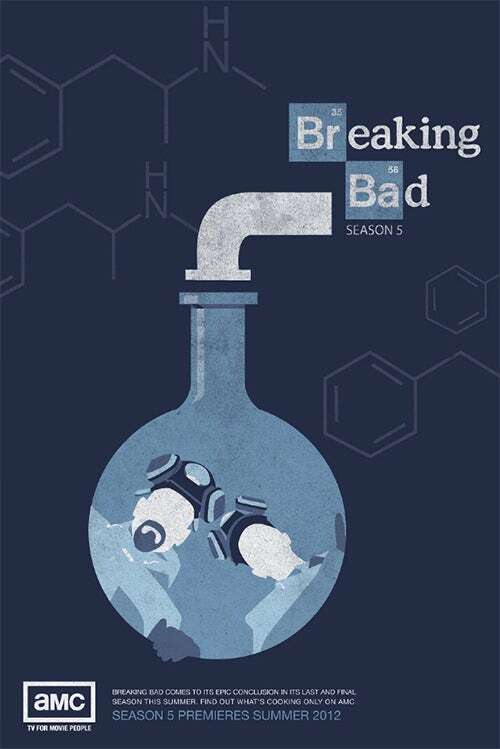 In the upper-middle part is placed a silhouette of Walter White with a quote saying ‘The chemistry must be respected’. 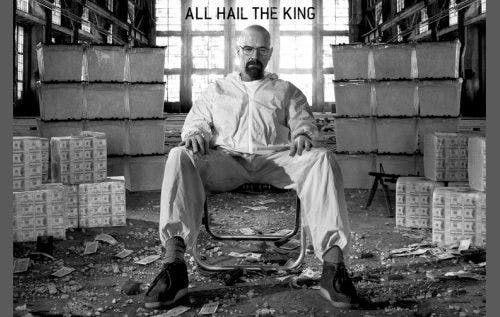 This is a black and white Breaking Bad poster generator where Bryan Cranston who played the role of White is seated and a quote above his head says ‘All hail the king’. Every object and stuff in the poster is crafted and designed with high colour accuracy and sharpness. 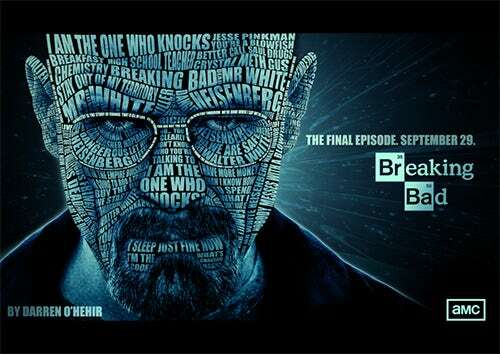 This Breaking Bad poster creator is a PNG file with 1800×1273 pixels at 300dpi. Here Bryan Cranston’s face is designed with typographic quotes of this famous crime thriller series. You can design a new poster out of this or simply print it to adorn your room walls. 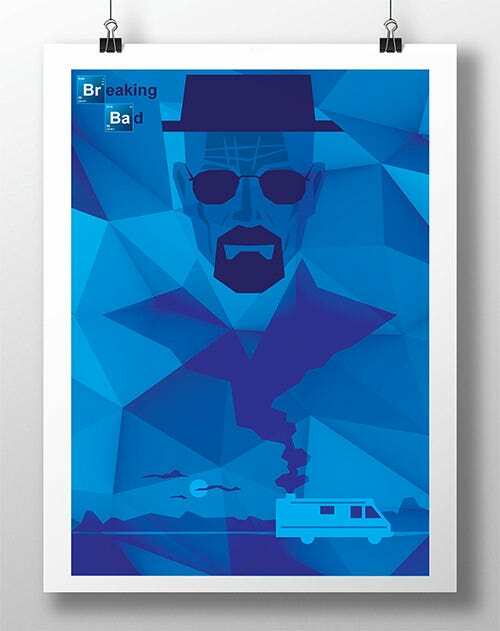 This remarkable Breaking Bad poster creator is inspired from season 5 of Breaking Bad series. 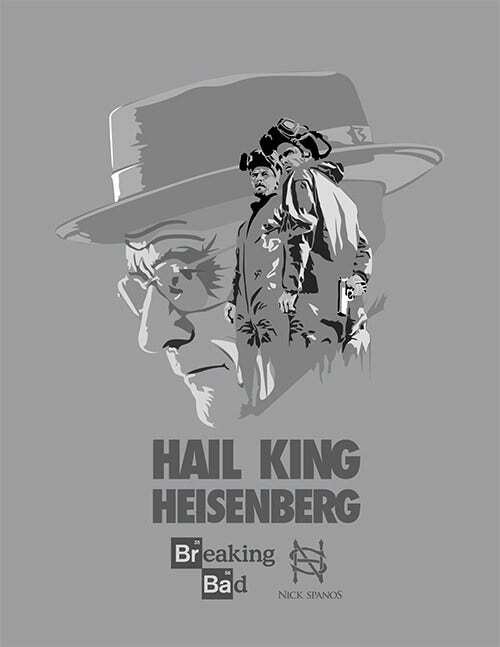 White, black and mostly grey colour is used in this poster with ‘Hail king Heisenberg Breaking Bad’ written below the image. You can add some new colour or a frame to give this picture a personal touch. 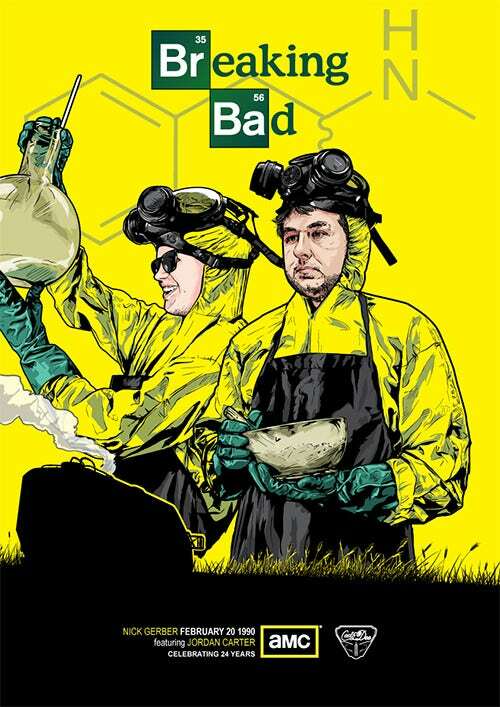 This Breaking Bad poster generator is also inspired from season 5 of this well acclaimed tv show. It depicts a pivotal scene of the series in such a way that some mystery is still kept unturned so that anyone who has not watched the episode will not be able to understand what happens next! 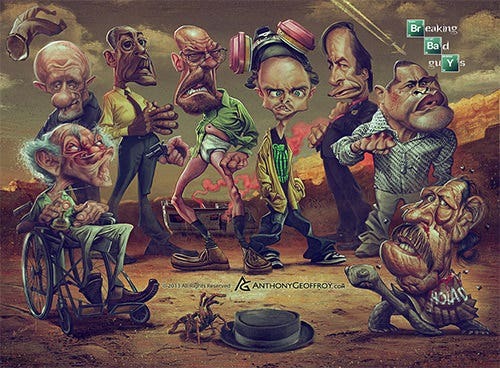 This Breaking Bad poster creator is sure to captivate all the Breaking Bad fans out there! 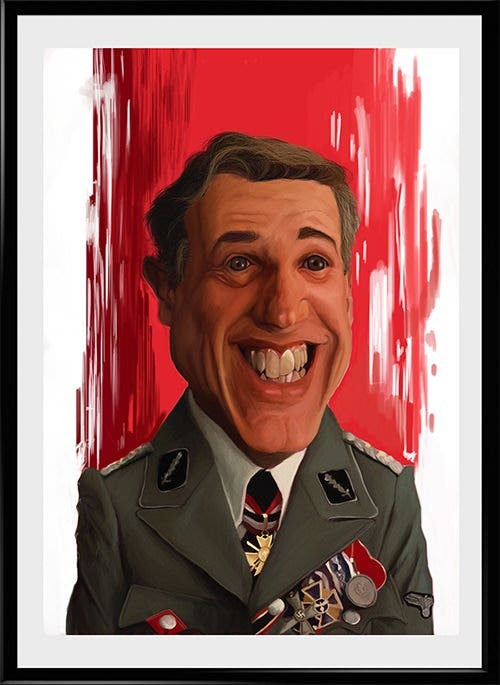 If you have a hobby of collecting such posters, this high resolution image with top-notch colour quality in a contrasting white wide frame must be included in your collection. 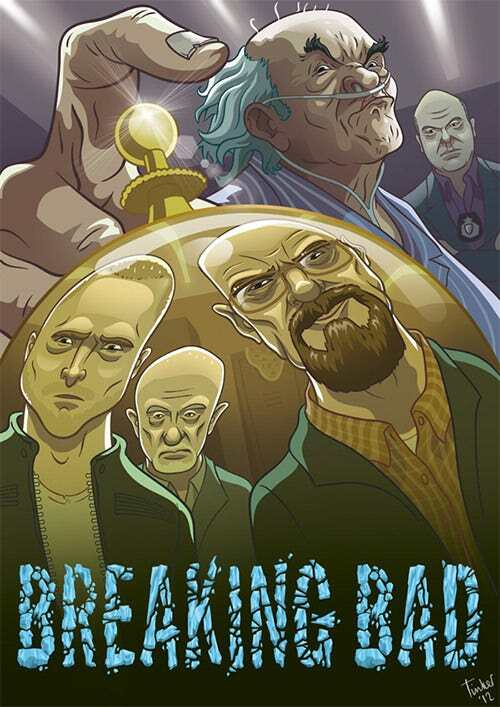 This amazing Breaking Bad poster creator is yet another poster from the series in A3 size resembling the original promotional posters. You can choose between two distinct character card designs and also edit it in Adobe Photoshop to add your desired colours, quotes or anything to make it even more interesting. 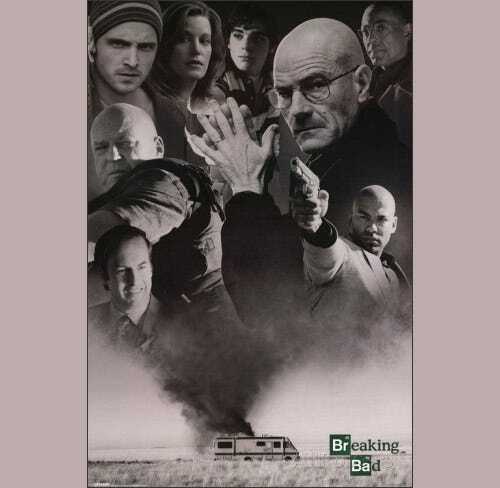 Creation of poster breaking bad using Photoshop, is not a recent development and you can actually exploit the previously published posters to create your own custom ones. You can also see World Map Posters to Download. The energy is halved, and thus money’s doubled! You can actually go for a sale too, because today’s irritable youth wants to do something which is relevant, which is a bit out of the box, unorthodox and most of the time lawless! 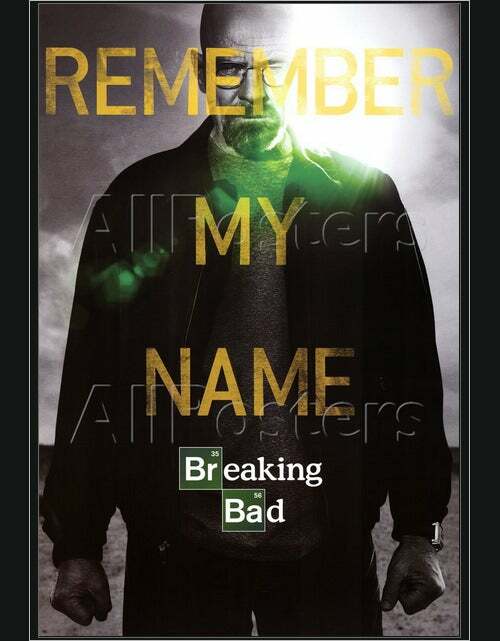 Remind them of these with your more agitating Breaking Bad posters online —it’s not a series anymore but a novel genre. You can also see Motivational Posters For The Ultimate Inspiration.